Dr. Laurence Breiterman, a cosmetic dentist in Wayne, NJ, recently added the Zoom Professional Whitening System to the patient services at Advanced Dental Techniques. Patients can now receive professional teeth whitening services from Dr. Breiterman. 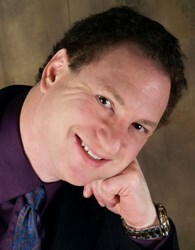 Dr. Laurence C. Breiterman offers teeth whitening with the Zoom Professional Whitening System. With the Zoom Professional Whitening System, Wayne, NJ dentist Dr. Laurence Breiterman can now help his patients achieve brighter smiles faster than ever before. Teeth whitening treatments can remove stains caused by aging, smoking tobacco, or drinking coffee, tea, soda, and red wine. For patients seeking a simple yet effective way to boost their smile’s brightness, Dr. Breiterman offers a top-of-the-line system known as Zoom Whitening. Under a dentist’s supervision, this procedure is incredibly safe as well as effective. While there are numerous teeth whitening systems on the market, Zoom’s popularity has soared due to the level of whitening it achieves in such a short time. In 2004, the system received several awards, such as the Dental Town’s Townie Award for best in-office system and best whitening lamp. In addition, Reality, a product testing and informational resource organization that rates and publicizes cosmetic dental products, rated Zoom the number one in-office whitening system. In recent years, Zoom made its Hollywood debut, appearing on television shows such as ABC’s Extreme Makeover. In less than an hour, patients undergoing the Zoom teeth whitening process can attain a smile up to eight shades whiter. Dentists like Dr. Breiterman can achieve these remarkable results due to Zoom’s lamp, which has been proven to increase gel’s efficacy by 26 percent. The majority of patients report little to no discomfort. However, people with a tendency to gag may have some difficulty enduring the entire length of the procedure. Additionally, some patients may experience some mild discomfort due to sensitivity caused by the Zoom light’s heat. The results achieved from Zoom whitening leave teeth permanently whiter than they were prior to treatment. However, regular brushing, flossing, and intermittent touch-ups with Zoom home products assist in maintaining the level of brightening originally attained. To learn more about Zoom teeth whitening with Dr. Breiterman, a cosmetic dentist in Wayne, NJ, please call Advanced Dental Techniques at (973) 694-2835 to schedule a consultation. Advanced Dental Techniques is a general practice offering personalized dental care for Wayne, New Jersey patients. Since graduating from the University of Medicine and Dentistry of New Jersey, Dr. Laurence C. Breiterman’s desire to become one of the best has led him to pursue almost 3,000 hours of continuing education. In 2007, Dr. Breiterman received the Mastership Award from the Academy of General Dentistry, which recognizes a dentist's commitment to advanced dental education. He is part of one percent of dental professionals providing the most recent FDA cleared laser procedure for gum disease treatment. Dr. Breiterman is also a Fellow in the International Congress of Implantologists and a member of the American Academy of Cosmetic Dentistry. To learn more about Advanced Dental Techniques and their dental services, visit their website at http://www.newjerseygumsurgery.com and call (973) 694-2835.